Bandcamp is an amazing platform for musicians and music bands. It allows them to publish online in high quality and sell their work. Bandcamp can be used on a website created in WebWave as a music player. In order to add a music player to a website built in WebWave, you need to create an account on Bandcamp and add your music. 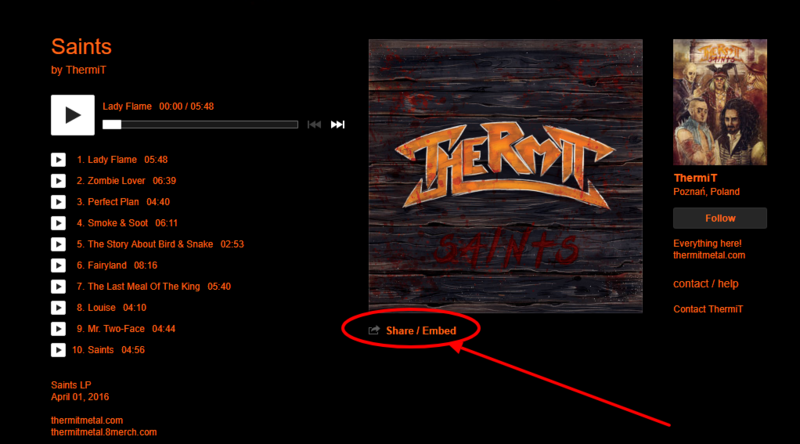 After adding your music, enter Bandcamp profile and select "Share/Embed" underneath the graphics. Embed - it is a code which needs to be copied when you finish styling the player. 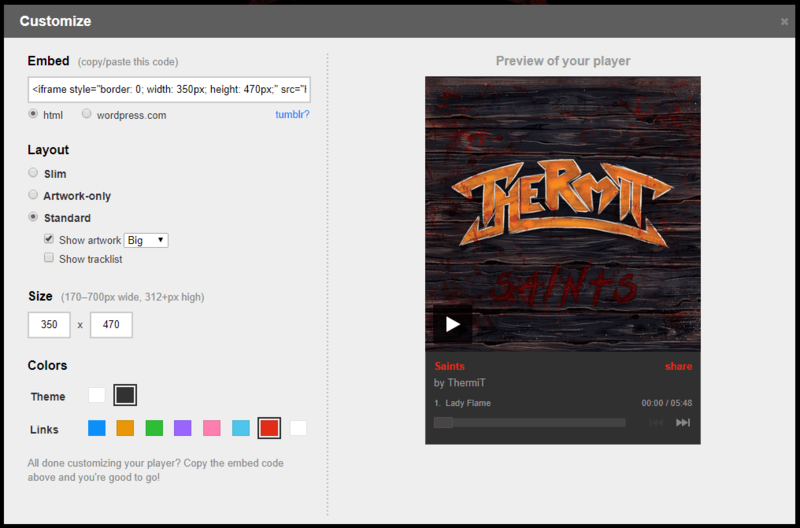 Layout - it is the way the player will be displayed on a website. Size - it is a player size. You can set its width and height in pixels. Colors - set a color of a background, fonts, and links. 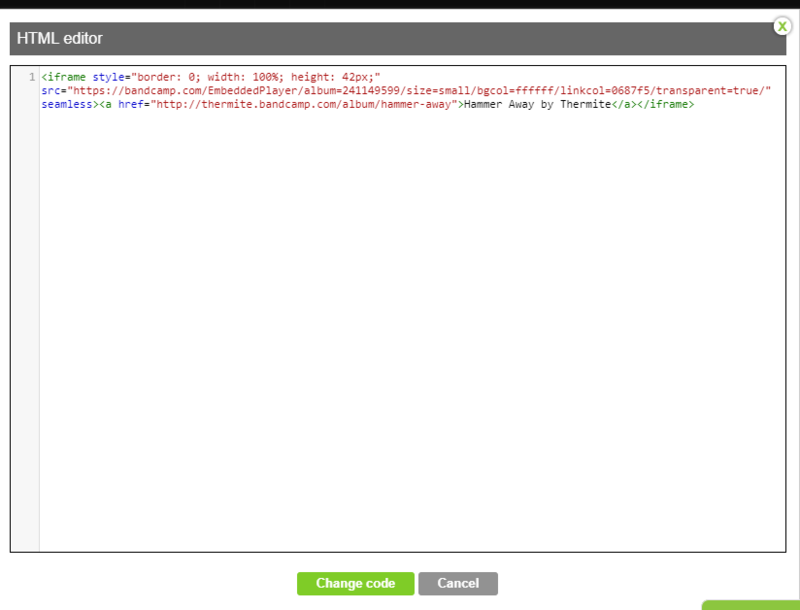 When you are finished with adjusting player style, copy the code in Embed with HTML box. Open HTML editor. 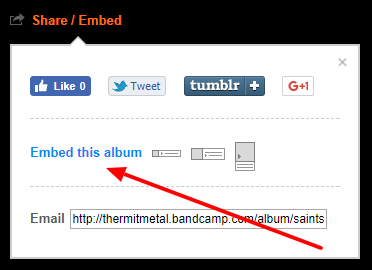 Delete default content and paste previously copied Bandcamp link. Save changes and publish your website.